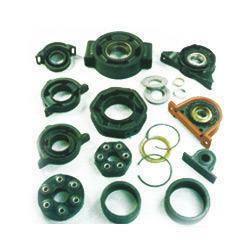 Manufacturer of a wide range of products which include engine mounts and engine mount. After deep search of the current market, we have placed ourselves as the leading manufacturer, trader, exporter and supplier of an impeccable collection of Engine Mounts. Our collection is widely used in automobile industry for car engines, truck engines, generators and other industrial machinery. In accordance with international standards, these mounts are manufactured by our dexterous professionals using high quality raw material and innovative technology. Moreover, our esteemed clients can availed these mounts from us at most competitive prices. With the intentions to uplift and preserve our reputation in this domain, we bring forth a wide range of Engine Mounts. Our offered mounts are helpful to prevent the engine from shock excitation. These mounts are manufactured at our ultra-modern facility using quality approved raw material, which is obtained by our authenticated vendors of the market. These provided mounts are strictly examined by our quality controllers against different parameters to ensure its flawlessness. 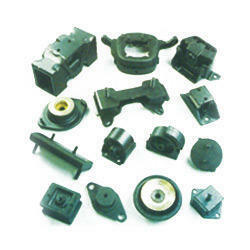 Our clients can avail these mounts from us at nominal prices. Combining the finest polices with strong business ethics, our firm is actively engaged in offering quality approved Engine Mounts. Our offered mounts are manufactured using the finest quality raw material and sophisticated technology in compliance with international standards. 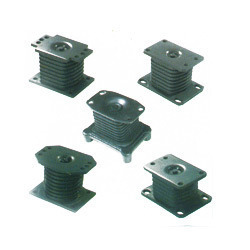 These mounts are widely used in several industries. Our team of quality inspectors checks the quality of these mounts on various parameters to ensure their defect free nature. Furthermore, these mounts are available in different shapes, sizes and designs to fulfill the requirements of our honored clients.